How Can Young Athletes Trust Their Skills in Games? Often when players perform well in practice but fail to translate their “practice game” to real competition, they lack trust in being able to properly utilize the skills they learned in practice. This lack of trust is due to fears such as making a mistake and embarrassing themselves in front of their coaches, family, and friends. In essence, this is fear of failure. Fear of failure is one of the toughest mental game challenges players face. That’s because it compounds as young athletes make more mistakes. With each mistake, they worry about what others think about their performance. They also start playing more tentatively, with little confidence, and that hurts their performance. 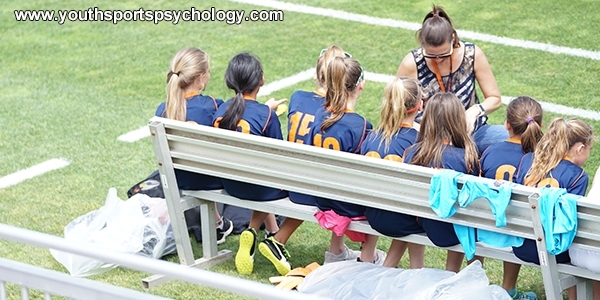 When this happens, it’s critical to uncover what fears are plaguing your young athletes. Are they afraid of being embarrassed in front of friends, coaches and teammates? Are they worried about making more mistakes and playing even worse? Are they worried about getting taken out of the game by the coach? As sports parents, it’s your job to help kids figure out what they’re afraid of if they perform poorly. You also want to encourage them to let go of mistakes. Better yet, let them know that mistakes are part of sports. They must have your permission to make mistakes. Give them three “get out of jail” cards to help them overcome mistakes. Give them a “flushing” sign to help them move on after mistakes, as suggested by the Positive Coaching Alliance. In addition, you want your athletes to play all out and trust in their skills no matter how many mistakes they’ve made in the game.